Henencourt, France. 1917-05-12. 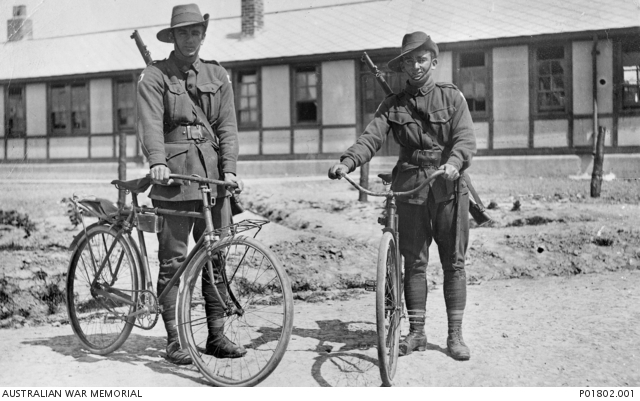 Two members of the 1st Anzac Cyclists Battalion standing, with their bicycles, in front of their barracks. 827 Private Jack Dair Bambury (left) and 830 Private Herbert (Terry) Davies.